While I was at the Ellett Brothers Gun Show in South Carolina with my dad, I was lucky enough to run into Joe Rieck from Wise Food. We ended up talking to him about how much we liked prepping. Luckily my dad said that my brother and I write a blog and Joe was nice enough to hook us up with some samples. I don't know if sending some samples is a wise foods thing or if Joe pulled some strings just for us. None the less Joe sent us some food and we appreciate it, so thank you Mr. Rieck. We finally got a chance to try our Wise Food on our most recent trip to Goodwater Loop. we picked pasta alfredo, tomato basil soup, and brown sugar and maple multi-grain cereal for breakfast. If you’re interested in Wise Food finish our review and then check out their website here. My favorite had to be the pasta alfredo of all the things we tried. 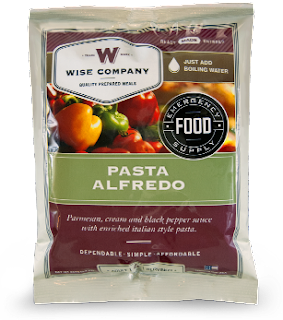 Not only am I in love with some alfredo pasta, for me Wise did a pretty good job on the flavor. We did have a small problem with some crunchiness but it wasn’t too bad and didn't stop me from eating as much as I could. At first, I really liked the pasta alfredo and it almost turned out to be my favorite out of the 3 foods we tried. However, the more alfredo I ate the more a bitter taste developed in my mouth. While the pasta still remained extremely good for packaged pasta, the bitter taste did take away from some of the awesomeness. I did ask Jack if he could taste it and he swears it didn't exist so it could just be something unique to me (I’ve got special taste buds!). In addition, the noodles were just a tad crunchy after waiting for everything to reconstitute. This might have been because we didn't mix everything up well enough or maybe the noodles are just hard to reconstitute. Either way, the pasta is good just be mindful of some crunchy noodles. I surprisingly liked the tomato basil soup and I’m not a soup person. In general, if I had to pick one food type to not like it would have to be soups. However, the flavor was so good that if someone gave me this in a bowl without telling me it was from a pouch I couldn't tell it was freeze dried. I would have guessed it was homemade soup. Personally, my favorite was hands down the tomato basil soup. I don't recall ever having a better tasting tomato soup. In Afghanistan, being surprised with tomato soup and a grilled cheese sandwich was my favorite, so I have a good idea how I like it. Wise Food's tomato soup far exceeded my expectations. This tomato soup has little noodles in it as well. Just like the pasta, there was an issue reconstituting those noodles. The only difference was I know I didn't wait long enough for everything to reconstitute because it was so good I just couldn't wait. 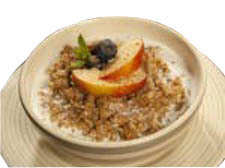 The cereal is just some yummy oatmeal like food so it was good with the maple and brown sugar. it is equally as good as any other oatmeal on the market. What is nice is it comes in a four serving pack which is really nice compared to the single serving packs. Wise Food did a good job on their (such a long name) brown sugar and maple multigrain cereal. It’s like similar to oatmeal but had a slightly finer grain size. Plus, the mix of grain types, brown sugar, and maple flavoring added up to be a savory sweet tasting treat. I might of taste a hint of artificial sweetener but it was not a flavor issue at all. I definitely think this war cereal prepared me for our hike back to the trailhead. 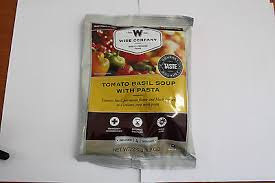 We are glad we had the chance to try Wise Food and We enjoyed it just as much as any other backpacking/survival food. We will be looking forward to getting more Wise Food down the line for our trips. Oh yeah, BeeGee and Angela both loved all of it but that's not saying much because Angela is cray and BeeGee is straight out of dog pound (don’t tell Jack’s mom he always lets the girls lick his bowl clean). So what is your favorite packaged food for camping, backpacking, or prepping? Also, if you like the blog, please follow us on Facebook.